Property owners in Concord, NC can end up facing serious damage caused by hurricanes, floods, winter ice storms, and plumbing disasters. If you are facing any type of water damage you can get the help you need from the water damage restoration techs at 911 Restoration of Charlotte. Make sure you’re ready to get a Fresh Start after a natural disaster by reaching out to our water damage and mold remediation techs today. We can reach residential and commercial properties in Concord within 45 minutes of an emergency call. Water can severely damage your home or business, especially if it is not cleaned up quickly and thoroughly. The water damage restoration techs at 911 Restoration of Charlotte are IICRC certified to take care of water extraction. We can also dry and dehumidify your property, reducing the overall damage caused by a pipe burst or a flood. We are a locally owned and operated company that can take your emergency call 24/7/365. Our techs are also trained to handle mold remediation and mold decontamination. Mold can be a big problem if you experience water damage. Let us check your property for fungal growth with a mold inspection. Our mold removal techs are licensed, bonded, and insured to handle both commercial and residential mold remediation. Let us isolate areas impacted by mold, remove mold spores using air filters, and completely clean up your home or business. Our techs can even take care of odor removal, so that you can breathe easy after a mold infestation. You can take charge of the future of your property today by contacting 911 Restoration of Charlotte. Techs can reach property owners in Concord quickly and they’ll bring the equipment they need to start repairing and restoring your property right away. 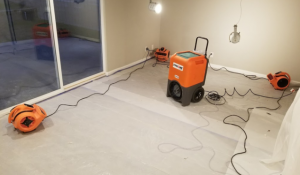 Water damage restoration is a complicated process that can involve removing water and handling mold infestations in Concord. 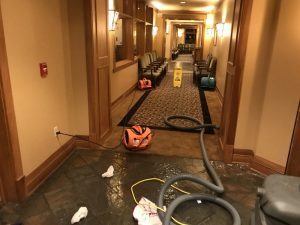 The pros at 911 Restoration of Charlotte have the experience and training to take care of flood cleanup and pipe burst emergencies in both residential and commercial properties. We can ensure you get the mold remediation services you need, starting with a free visual mold inspection for property owners only. We understand that some forms of mold can even be toxic, so techs will begin working on mold decontamination quickly. You can get a Fresh Start after you experience water damage in Concord by calling 911 Restoration of Charlotte today. Servicing the cities of Albemarle, Belmont, Cabarrus County, Catawba, Charlotte, Claremont, Cleveland, Concord, Cornelius, Cramerton, Davidson, Denver, Gastonia, Harrisburg, Huntersville, Mount Holley, Iredell County, Kannapolis, Newell, Lowell, Dallas, Rockwell, Stanley, Mooresville, Mount Ulla, Westport, Troutman, Statesville, Paw Creek, and surrounding areas.